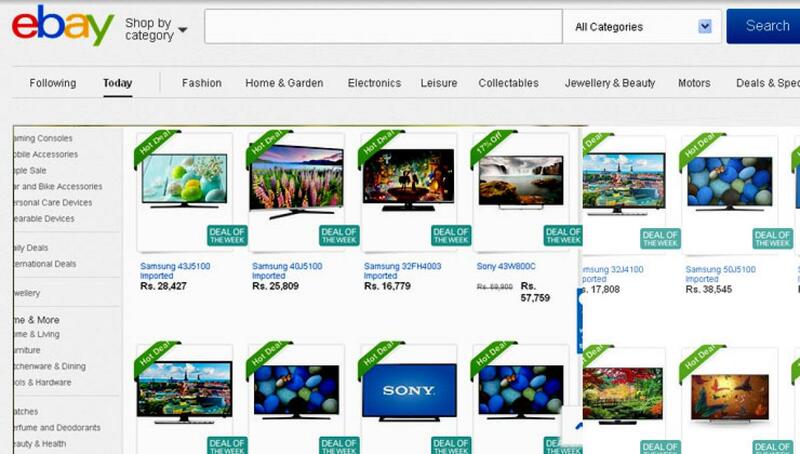 eBay India Joins Hands With Best Deal TV. eBay India, the online marketplace has partnered with Best Deal TV India’s first celebrity driven 24/7 home shopping channel. eBay India, the online marketplace has partnered with Best Deal TV India’s first celebrity driven 24/7 home shopping channel. eBay India’s unique Cross Border Trade (CBT) Business will enable exports of celebrity endorsed products being currently sold on Best Deal TV. The partnership will allow Best Deal TV to list their product across three platforms i.e. www.ebay.com; www.ebay.co.uk and www.ebay.com.au and specifically target buyers in USA, UK and Australia respectively. Best Deal TV via its store on eBay (http://stores.ebay.com/smstrade) will list 2000 SKUs across three categories: Home, Fashion and Lifestyle. Each product being listed will be endorsed by a leading Bollywood celebrity. Consumer in USA, UK and Australia who will log onto Best Deal TV stores at eBay will be able to purchase the latest in Fashion and Jewellery including Shilpa Shetty’s designer Slim Shape Jeans and her very own line of Sarees; Satyug Mangalsutra bracelet; Neeta Lulla’s sarees and Anushka Dandekar’s line of jeggings. The Beauty and Lifestyle selection includes products from Bollywood and famous celebrities like Akshay Kumar’s Twist Head-phones, Neha Dhupia’s hair extensions etc. The Home selection will include Farah Khan’s air loc containers, Bipasha Basu’s suggested air fryers and Wonderchef Sanjeev Kapoor’s cookware collection. There will be many more products that will be available under each of the above categories for consumers to choose from. As per eBay India Census of 2014, USA, UK and Australia are the top three countries that contribute to the cross border business of eBay India. eBay India sellers can use any of the 39 eBay worldwide sites to export products to around 157 million active buyers around the world. At any given time, there are over 3.5 million live listings from India on eBay worldwide sites across Lifestyle, Collectibles & Media verticals.